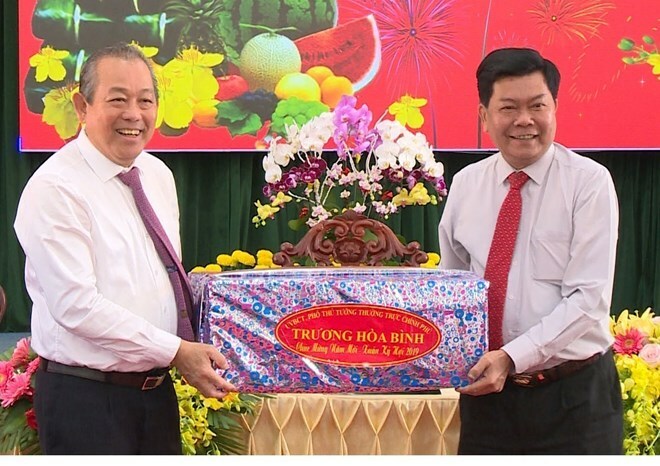 Permanent Deputy Prime Minister Truong Hoa Binh on February 3 made a Tet visit to the Mekong Delta province of Long An on the occasion of the traditional Lunar New Year (Tet) festival and the 89th founding anniversary of the Communist Party of Vietnam. Binh spoke highly of the local socio-economic achievements in 2018, with the gross regional domestic product (GRDP) reaching a record high of 10.36 percent in recent years, and poverty rate dropping to 2.22 percent. He hoped that the province will make breakthroughs in 2019, striving for a higher GRDP than the previous year. With concerted efforts made by local Party, authority and people, Long An will be developed into a reliable destination for investors, he stressed. He took the occasion to wish Long An authorities and people a new year of good health and success. 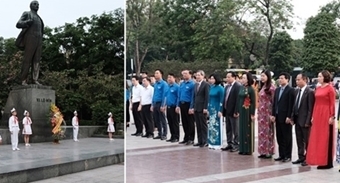 The same day, he visited and delivered Tet greetings to the provincial military high command, during which he laid stress on the important role of the military high command in enhancing defence-security strength, upgrading infrastructure in border regions, and ensuring a border line of peace and friendship.